There is a 2 year warranty from the Daylight Company on this lamp which includes the LED light unit. On average an LED bulb will last 11-15 years based on 10 hours of daily use. 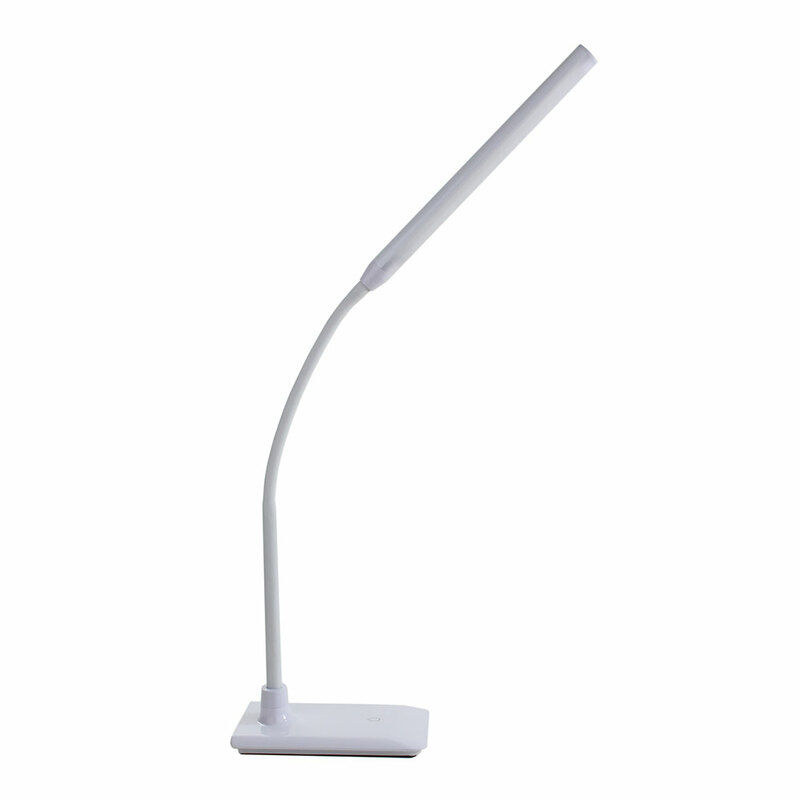 This has a sturdy weighted base which is not too heavy for moving the lamp about. The stem leads up from the base, rigid for the first section, giving way to bendable stem. This can bend down and sideways easily. With the lamp sitting on adjacent furniture, the lamp can bend down and sideways to shine light on my work on my table easel. The end of the light tube can be tapped to turn on and to increase light up to four levels, then the next tap turns the lamp off. Connecting the lamp couldn't be simpler. The supplied cable has one end to fit into the base, the other end plugs in to the electrical outlet. The length is decent enough to reach a nearby electrical socket, although I used an extension cable to get the lamp as close to my table easel as possible. The literature states that the tube light should last the 'lifetime' of the lamp, so I can't comment on how long that might be, since this was a recent purchase for the oncoming dull days and dark evenings of autumn and winter. However, I am very pleased with the lamp. Personally I seldom work over A3 size, and this one daylight lamp is more than adequate to allow me to paint on into dusk and full night. Artists who prefer to work large might wish for additional lighting, but for less than A3 size this lamp gave me all the light I wanted to continue painting. Additionally, the lamp was useful to photograph my finished paintings. Admittedly my paintings (water-mixable oils) were only sized around 25 cm x 30 cm, and it need a bit of juggling to illuminate the painting fully without glare (the usual problem when using the camera's own flash) but the resulting photograph was certainly good enough for my own records. Overall I am very pleased with this lamp, giving me good colour balance even when painting at 11 pm - next day the colour looked exactly as when I painted it.